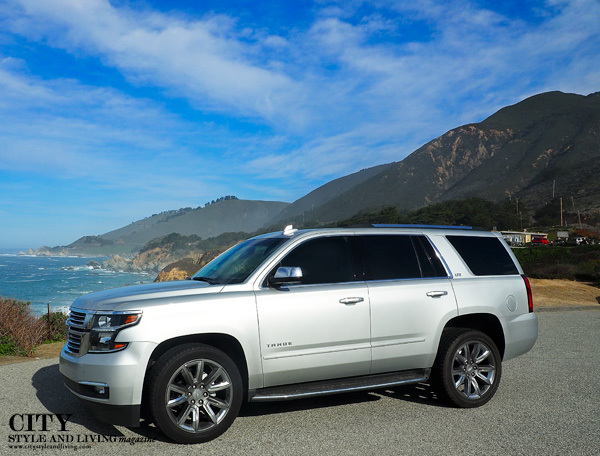 CSL's vehicle of choice for the journey- A 2016 Chevrolet Tahoe LTZ. After 1203 miles, the fuel efficient, smooth driving SUV became part of the team. 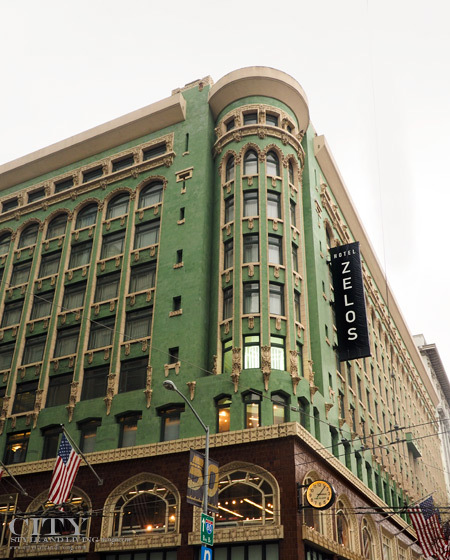 Hotel Zelos in San Francisco's Union Square is a convenient boutique hotel in the heart of downtown. The chic-cool restaurant Dirty Habit (at Hotel Zelos) offers a variety of small bites. Try the melt in the mouth lamb belly bao buns and opt for a craft cocktail, you won't be disappointed. 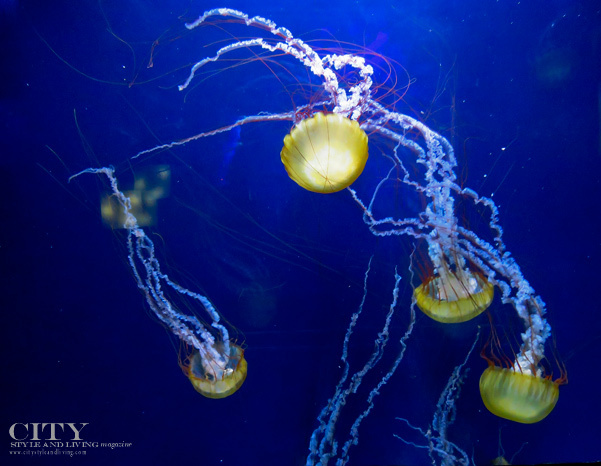 The Aquarium of the bay is a mesmerizing and educational experience, adjacent to Pier 39. 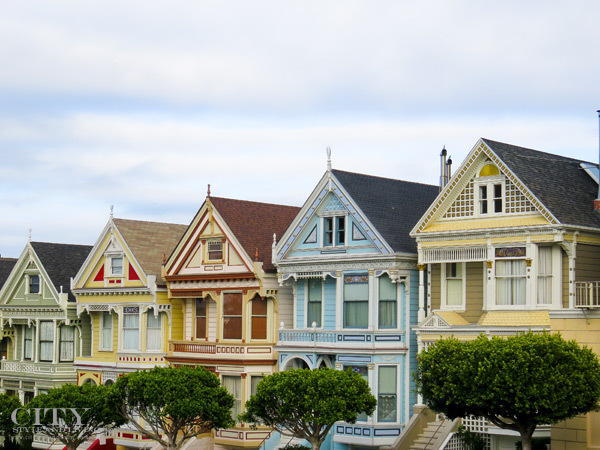 Take advantage of City Pass San Francisco which offers discounted fares at numerous San Francisco attractions and best of all is the MUNI and cable car passport which allows you to get around the city with ease /courtesy Dr. Rookmin Maharaj . 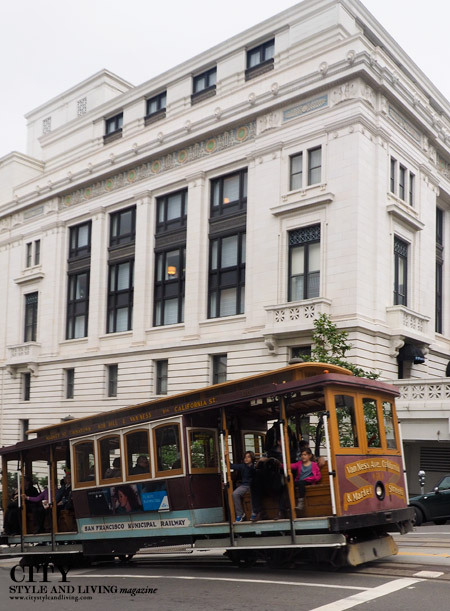 Riding along, or simply watching the historic cable cars of San Francisco move up and down the impossibly steep street inclines - a must. A classic never goes out of style - dinner at historic seafood and steakhouse Johns Grill in San Francisco's Union Square which has been opened since 1908. Hosting presidents and states people it was associated with the novel, The Maltese Falcon. 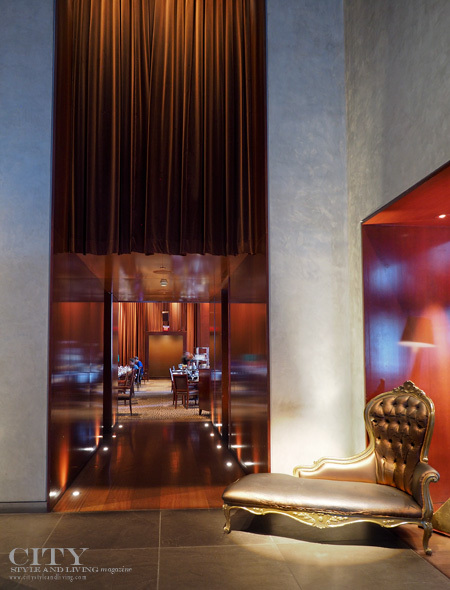 The oak paneling throughout the restaurant adds warmth to the multi-storey building. 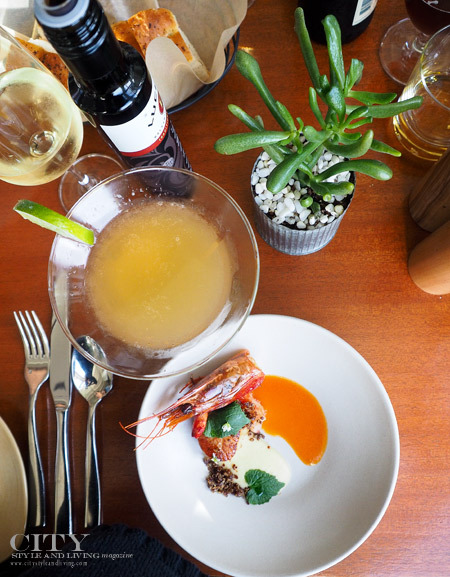 The food here is - try a classic jumbo prawn cocktail, followed by the Maine lobster ravioli (a favourite on this trip) and a bowl of delicious cioppino studded with tons of fresh seafood. Pictured here the upstairs bar. 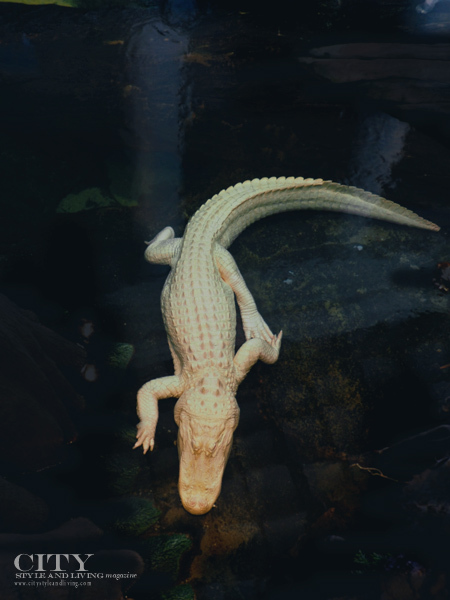 A rare albino alligator at The California Academy of Sciences. The enormous reptile (over 7 feet long) was a sight to behold. 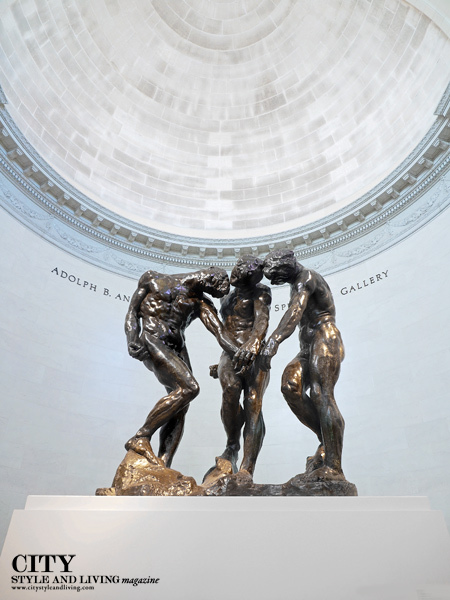 The Legion of Honor houses some of the world's greatest art pieces. CSL used the GO San Francisco pass for entry. 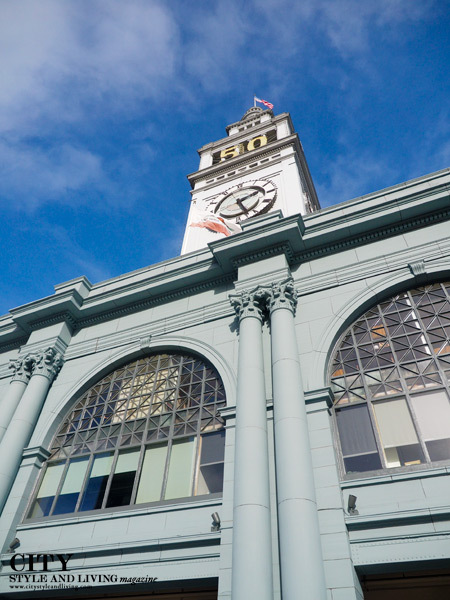 This is a great photo site with white columns, bronze statues and cupolas vying for attention. 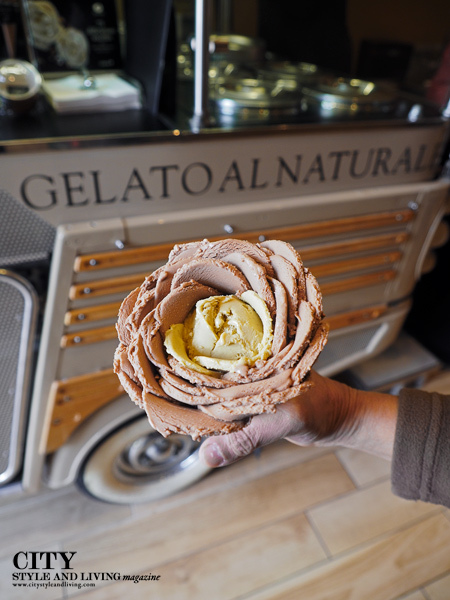 Amorino gelato not only looks beautiful (who could resist the flower? ), but the flavours are on point - our faves: hazelnut, and pistachio. The friendly staff crafting the petals one by one makes the experience one to remember. 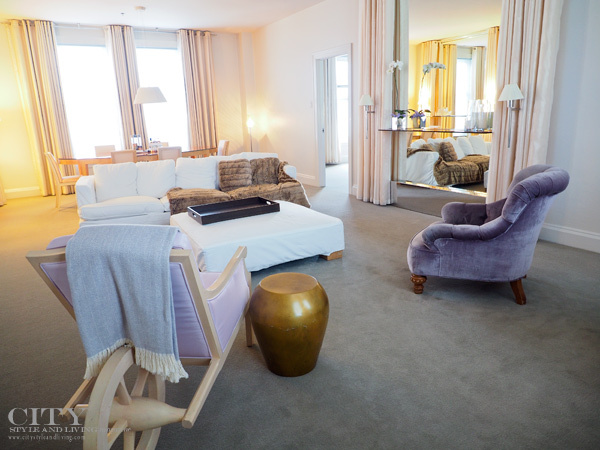 The suite life- the subtle pastel purple and white and modern custom designed Philip Starck furniture are some of the touches that make The Clift unique. 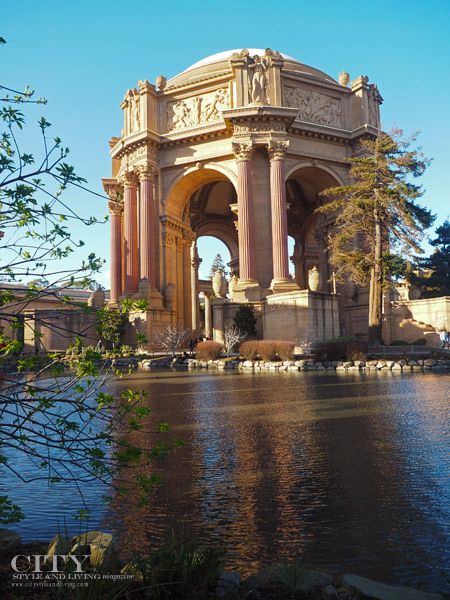 The Palace of Fine arts feels as if it were transported from the old world to San Francisco. 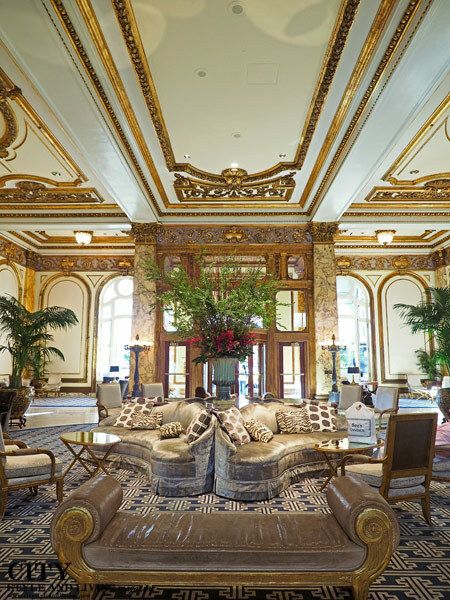 The lobby of the Fairmont San Francisco speaks of glamour. 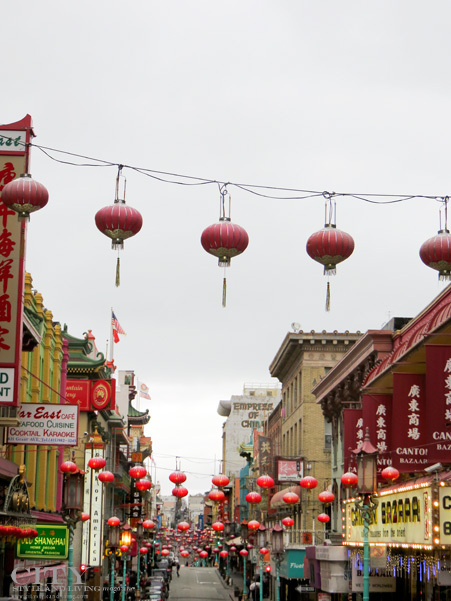 Located in Nob Hill, the hotel is a great location from which to explore the city. 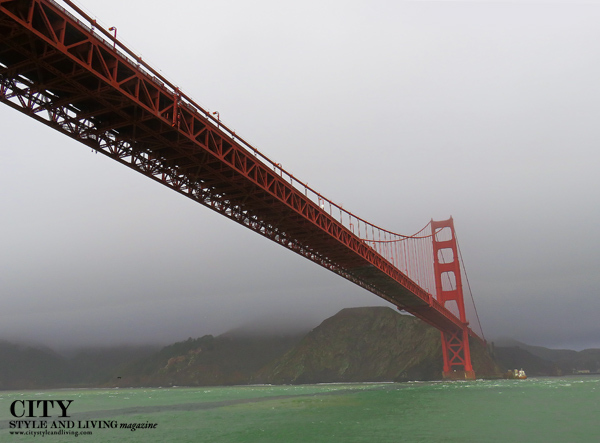 Upper floors also feature great view of the Golden Gate Bridge. 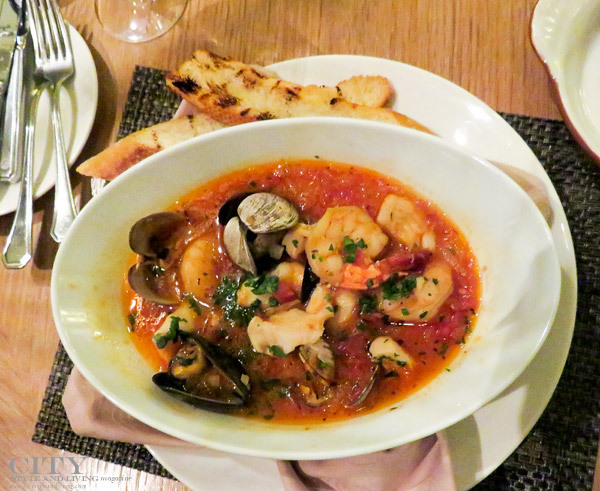 When in San Francisco, cioppino is a must. This offering from Laurel Court Restaurant and Bar the Fairmont San Francisco. 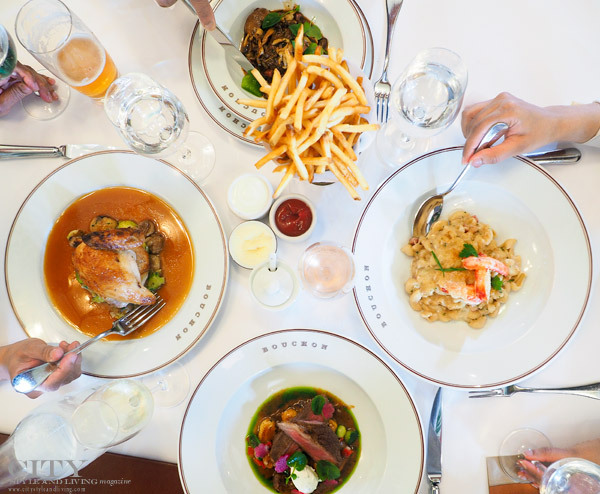 After a few days in San Francisco we loaded up the GM Tahoe and drove to Napa for lunch at Bouchon Bistro in Yountville. Another day, we went for a private (group size is maintained below 15) at HALL Rutherford the estate of Hall Wines. 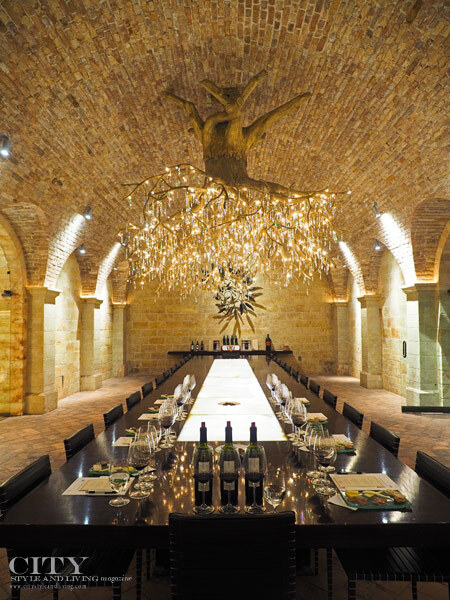 The gorgeous tasting room built with bricks from the Austro-Hungarian empire, and centered on a stunning tree of life chandelier features amazing acoustics and art from around the world. 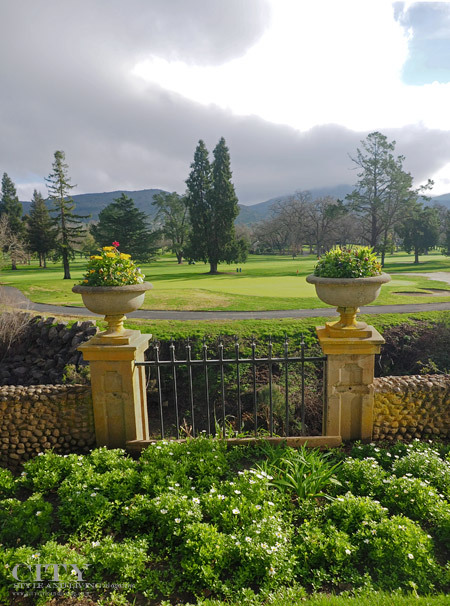 A view from the patio toward the golf course at Silverado Resort and Spa. Our cottage was steps from one of ten swimming pools on the property and it felt like a home away from home. 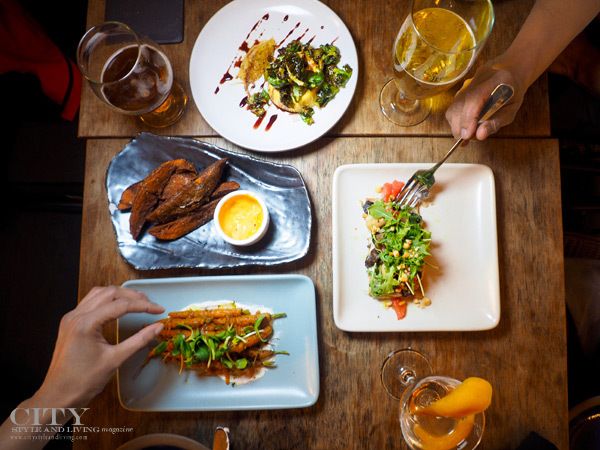 A great new casual dining concept from a young and talented group Heritage Eats in Napa, California takes inspiration from around the world and allows you to customize your meal with a build-it-yourself menu. First, you choose your meat, then your starch (including bread, rice, bao), then toppings and finally sauce. So the choices are endless. 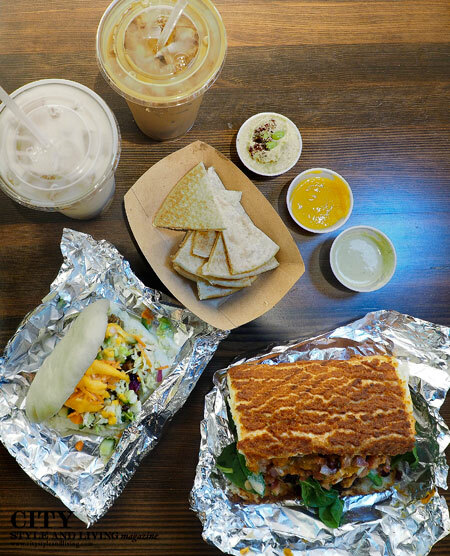 (pictured: Horchata, Vietnamese Iced Coffee, Jamaican Bao, Bánh Mì Dutch Crunch and a few sauces). A must-try are the Pineapple Habanero sauce and Lemon Tahini sauce. 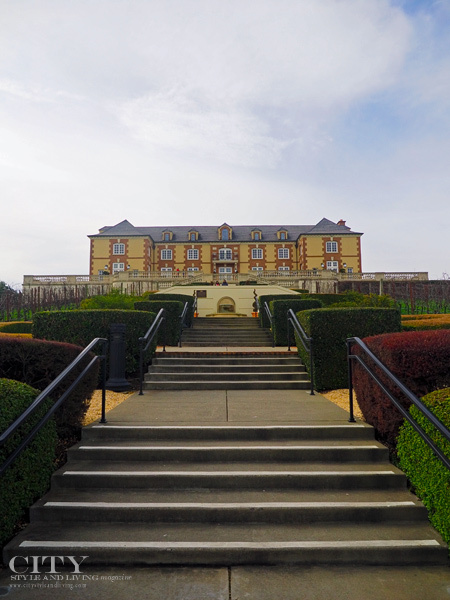 The imposing entrance to Domaine Carneros. The Napa Valley winery is noted for its sparkling wines and pinot noir. 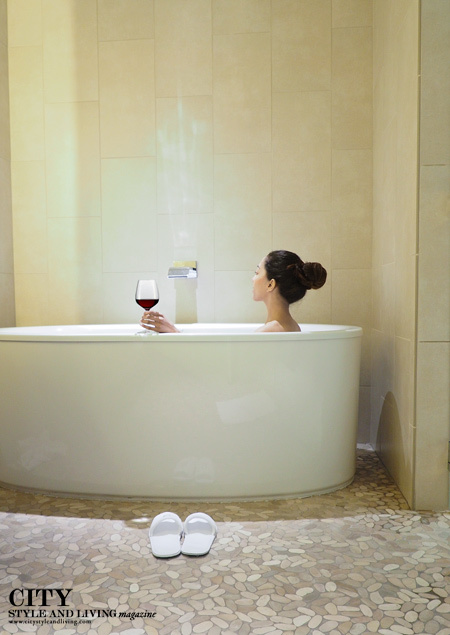 Enjoying a sip of wine and a soak at Senza Hotel in Napa. What did we especially love? The high ceilings in our room, the comforting fireplace, spacious spa-like bathroom and on-property vines which we could see from our room. Lucy at Bardessono in Yountville, California provided one of the best meals of the entire trip. Expert wine pairings by sommelier Anani Lawson was a special treat, as was our chat throughout the evening. 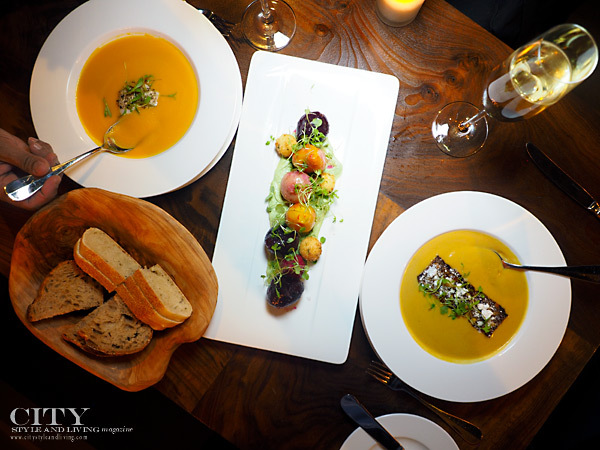 Executive Chef Nate Lindsay has a deft touch, focusing on clean, simple flavours that makes the local California produce shine. From the perfectly seared Ora King Salmon and diver scallops to the creamy and delicious parsnip and carrot soup, every bite was one to savour. 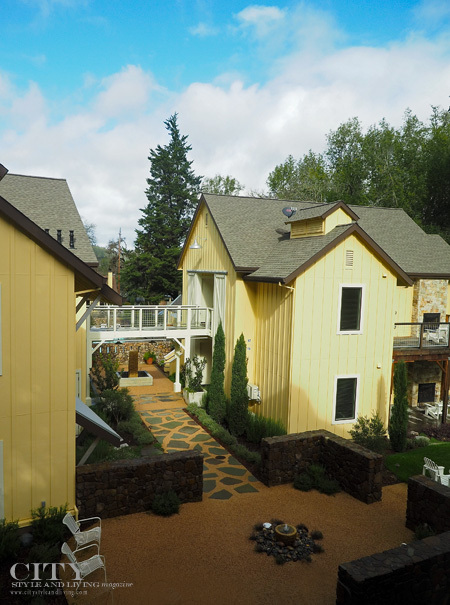 Farmhouse Inn is an oasis in Sonoma. 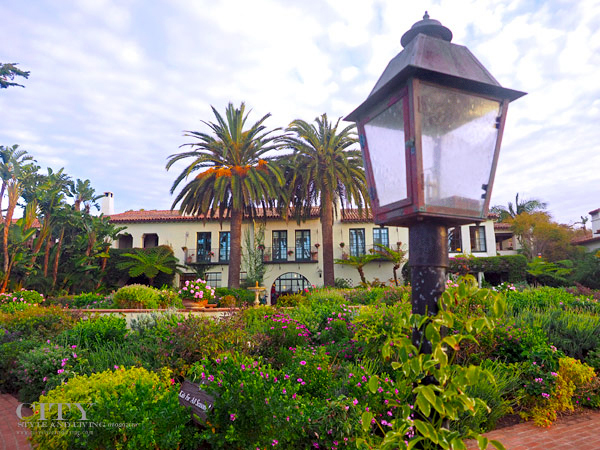 Pull up to an historic building that now houses the property's restaurant, surrounded by rose bushes. The pool opposite the spa is lined with gardens, grape vines and stone walls so that we always feel like we are in the countryside. A crate of goodies inside our room has apples, quinoa chips, chocolate and other treats. (Wait until turndown service for the best gluten-free chocolate chip cookies we've ever tasted). Oh, and Charlotte and Henry (the on site farm cats) will be sure to steal your heart. A beautiful, peaceful retreat. The Michelin chef (Steve Litke of Farmhouse Inn ) offers a varied and interesting menu including one of the best lobster sausages we've ever had (pictured above). Another favourite was 'Rabbit Rabbit Rabbit', with roasted rack, confit of leg, yukon potato, and whole grain mustard cream sauce. Pastry Chef Phil Ogiela's creation, Comme l’Air, a cheesecake tart soufflé with lime gelée, huckleberry infused wild blueberries, chèvre cracker, and garden mint is a dessert we will not soon forget. Breakfast at Farmhouse Inn is quite the affair - a 3 course sit-down meal. Ah! a nod to the golden days of travel. Bubbles and bites at Gloria Ferrer vineyards. Over 90 minutes, CSL learned about the history of the Ferrer family and estate before sipping a selection of sparkling wine with host and educator Samantha Williams. Our favourite? Though each has a distinct character and profile, we couldn't help take more than a few sips of the Gloria Ferrer demi sec reserve cuvee and brut rose. With a million dollar view of the Pacific ocean and Half Moon Bay golf links, it would be easy to spend hours at The Conservatory at The Ritz Carlton Half Moon Bay. With an incredible 'homegrown cocktail' menu and wine list, we settle for the modern mint julep to pair with a new dish from Executive Chef Alvin Dela Cruz - Spanish shrimp, fried quinoa, chili sauce and parsnip puree with a hint of truffle oil followed by a light seafood cioppino and lobster roll. Don't leave without ordering the carrot cake and cookie box to go. 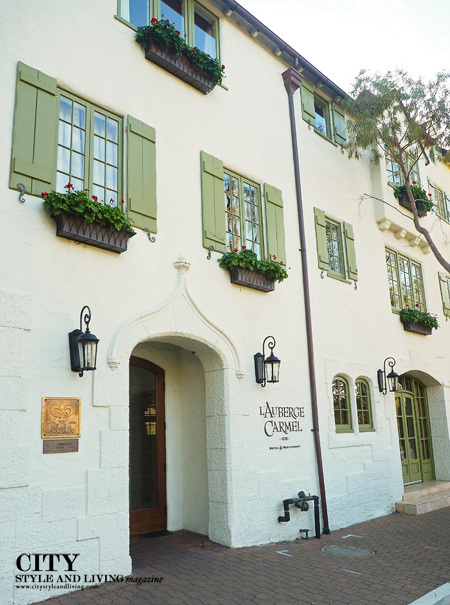 L'Auberge Carmel is a Relais & Châteaux inn on Ocean Avenue in Carmel-by-the-Sea. The entire neighbourhood draws reference from Europe - Czech Republic (here), England, France, Ireland - with art galleries, shops and cafes a short walk away. This property built in the 1920s also features a charming courtyard and a cute cheese cave. The salon at L'Auberge Carmel. The highlight of breakfast at the property is wonderful pain au chocolat and croissants. An in-house luxury car takes guests to close-by destinations including the Mission. 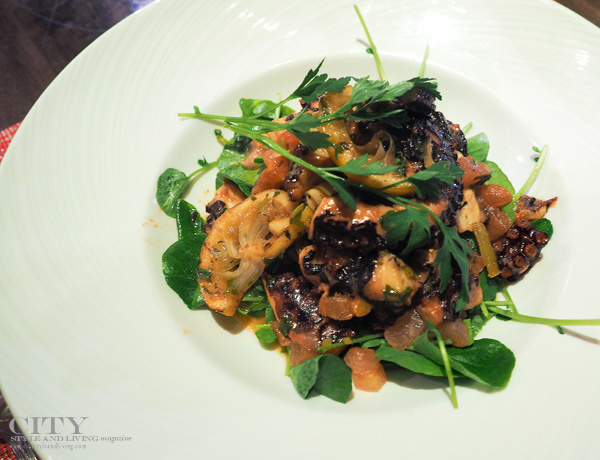 Dinner prepared by Executive Chef, Jason Giles at Jacks at Portola Hotel in Monterey included Pulpo estofado (pictured above) with Spanish paprika, lemon and parsley and an heirloom roasted pumpkin bisque finished with Styrian pumpkin seed oil. For dessert, the house made classic cheesecake with hints of citrus was light and satisfying. 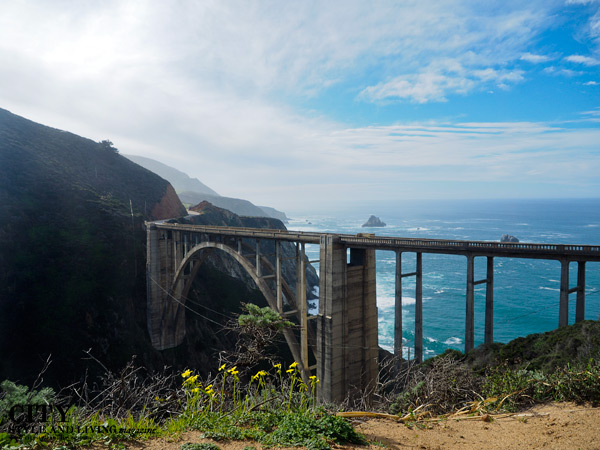 Bixby Bridge an essential part of the California road trip and an icon. The views here are incredible. A plate of crispy lobster rolls from Roy's in Pebble Beach. With an open kitchen and Pacific Rim flavors this was a great spot for enjoying the signature tastes of chef Roy Yamaguchi. 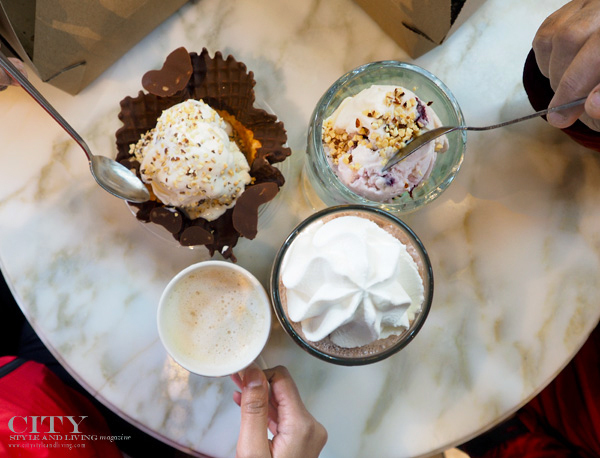 Don't skip dessert here: Roy's Melting Hot Chocolate Souffle; Mud Pie and Parfait are all excellent. 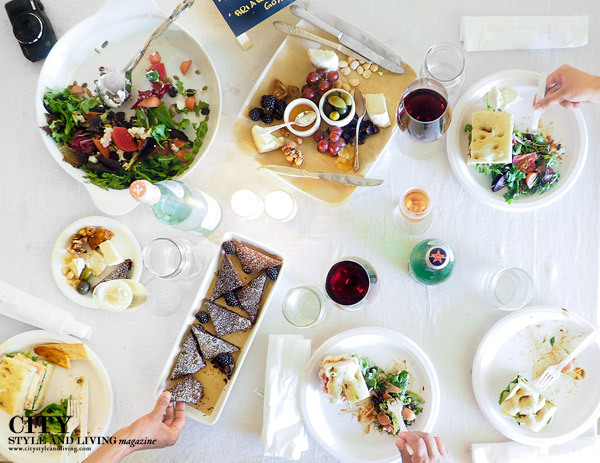 An al fresco picnic from The Lucky Hen Larder at Sunstone winery in the Santa Ynez Valley. 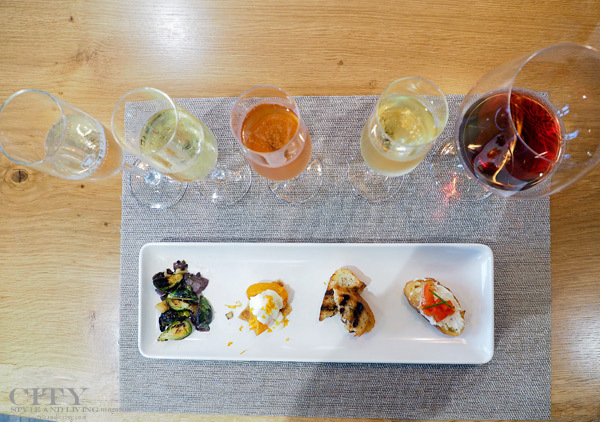 Paired with lunch are the 2014 Rapsodie, a blend of Grenache, Syrah and Mourvedre (GSM) and the Blanc de Noir sparkling wine. The winery is set amidst rolling hills that at times resemble France, Italy or even Austria. With lunch served near wooden barrels, with stacked palettes serving as tables and mason jars for water the setting as rustic as it is beautiful. 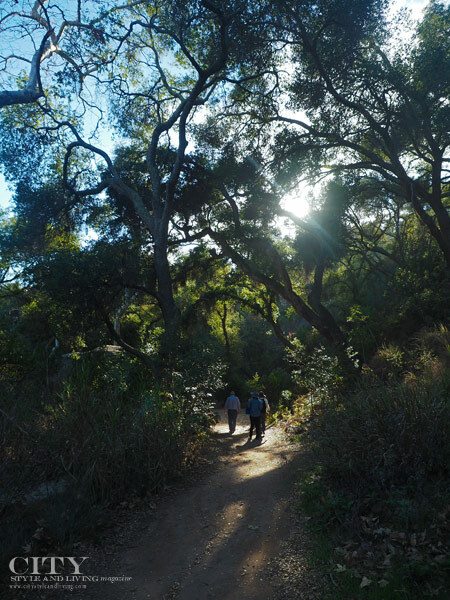 In the Mission Canyon The Santa Barbara Botanic Garden boasts a wide array of California native plants including its very own redwoods (planted in the early 20th century). Paths lead to among other delights, a Japanese garden, an old aqueduct and dam built by the Chumash Indians under the direction of the Spanish Franciscan padres and a mini-labyrinth for children of all ages. 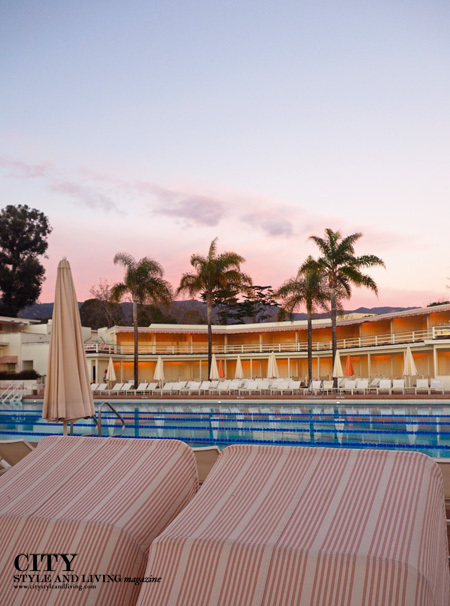 If you're looking for a perfect stay - food, surroundings, rooms, people - then look no further than the Four Seasons Resort The Biltmore Santa Barbara. Immaculate, friendly, beautiful - the adjectives continue Ad infinitum for this property. Sun rise view of the beach beside the Four Seasons Resort The Biltmore Santa Barbara. 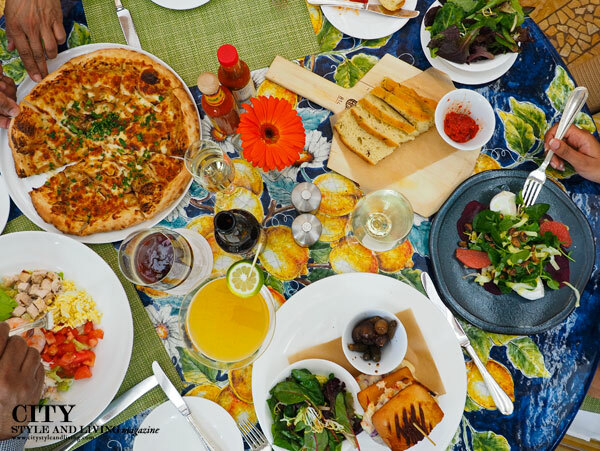 The food at Four Seasons Resort The Biltmore Santa Barbara described as Italian-inspired California coastal cuisine, is delicious. Bella Vista features wood burning fireplaces, fountains, and a patio that looks onto the ocean. The carrot Caprese features buffalo mozzarella flown in from Europe and resembles burrata in taste (yes, it's that creamy). 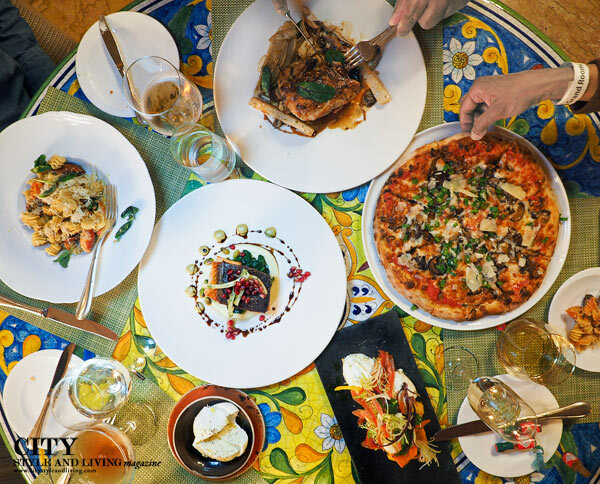 Pictured above from left is Lobster Radiatore - Chile, Oven-dried Tomato, Bread Crumbs, Basil, Lemon; Organic Chicken; Funghi pizza - Roasted Wild Mushrooms, Spring Onions, Truffled Pecorino and carrot caprese. All is served on colourful ceramic tables hand painted in Italy. Mary-Lyn our waitress at dinner was incredibly knowledgeable and proud to expound on the many facets of the property - like the house cured meat and cheese made by uber talented Executive Chef Alessandro Cartumini. Maurice and Ricardo waiters at breakfast and lunch were both attentive and thoughtful - we soon became 'regulars', with our preferences remembered, all making this experience feel as if we were welcomed home. 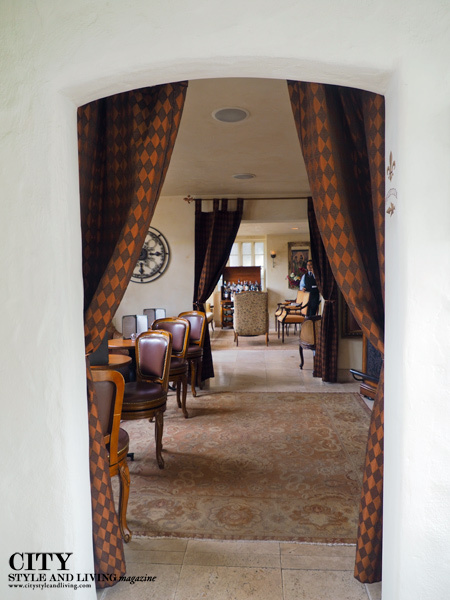 Ty Warner, the resort's owner, has a hands-on approach to the property and it shows. Every detail from bathroom tiles, to the immaculate garden (featuring a massive fig tree) to the view from the spa is considered and beautiful. Here,at Coral Casino Beach and Cabana Club across the street from the Four Seasons (guests have access to this property as well, though it is normally a members' only club) fabulous details like the Olympic size swimming pool, a neon orange elevator decorated with grommets depicting the astrological signs and an aquarium as the table in the bar complete with live fish make it another jaw-dropping property. 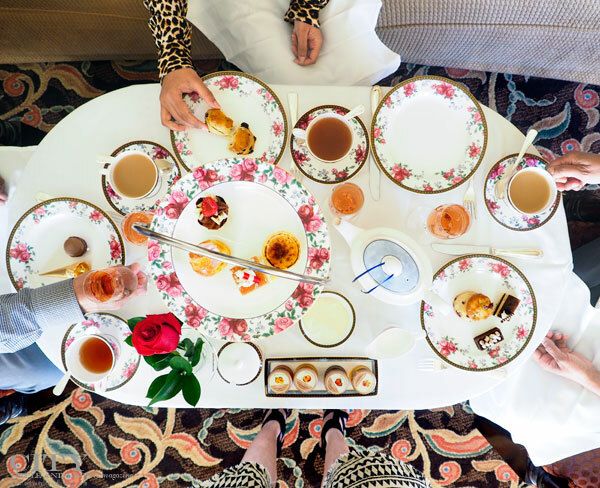 Indulging in a little bit of afternoon tea by Wedgewood (and sparkling wine) at the Langham Huntington Pasadena. 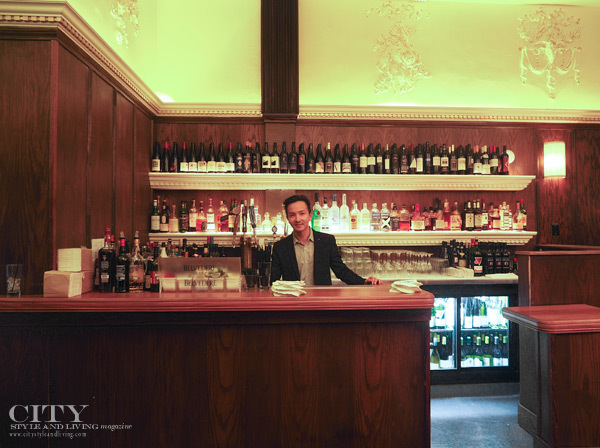 The quiet sound of piano heard in the background, as CSL's team sipped warm cup of earl grey tea and nibbled on intricate pastries and savory bites - a touch of England in LA. 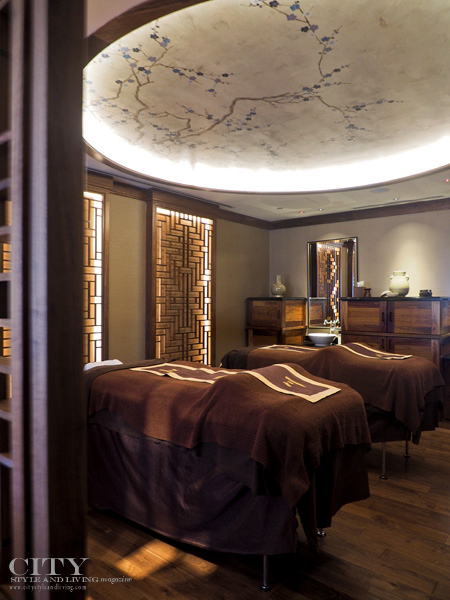 Award winning Chuan Spa at The Langham, Huntington Hotel & Spa, Pasadena offers a selection of signature treatments inspired by Traditional Chinese Medicine. Try the hot stone massage which is ideal for the tired jetlagged traveller. 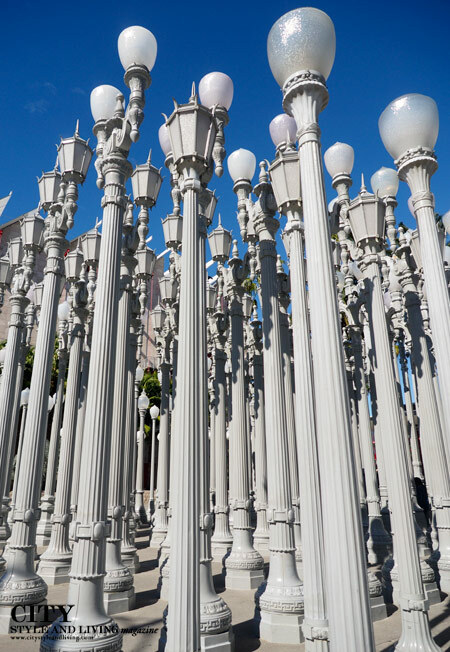 Urban lights, the now iconic landmark at The Los Angeles County Museum of Art. Take some time to explore the variety of exhibitions from modern art, Asian and American artists. Beware - there are plenty of ultra cool photo ops. 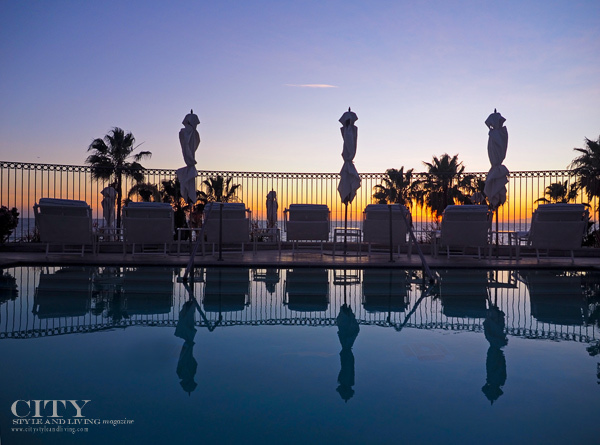 Casa del Mar feels transported from the Mediterranean - a world away in beachy Santa Monica. 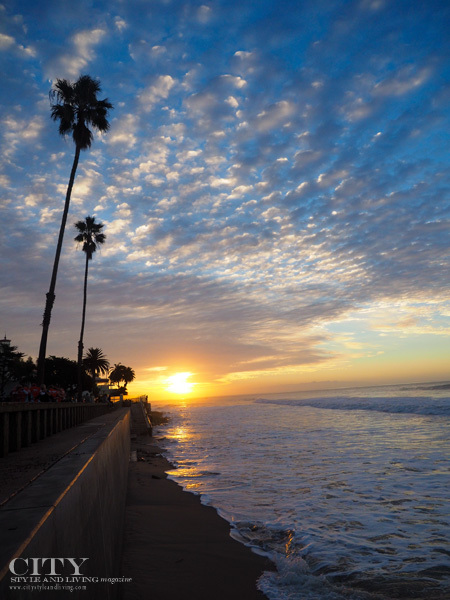 Imagine waking up to ombre pink, orange and pale blue sunrises and sunsets, with the Santa Monica pier as the background, and miles of endless sandy beach. 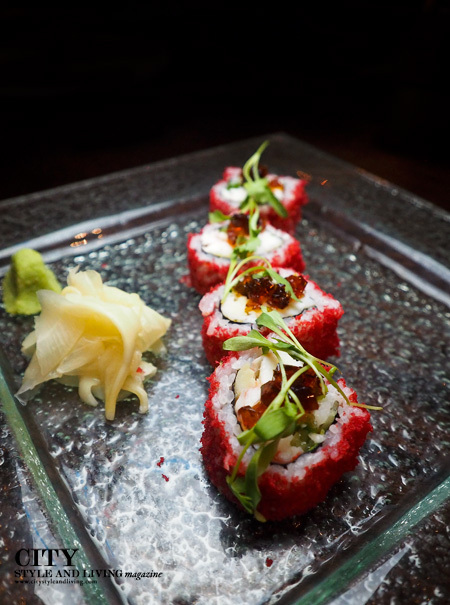 The seafood centric menu at Catch excels in sushi, like the beautiful Crispy King Crab Roll pictured above. 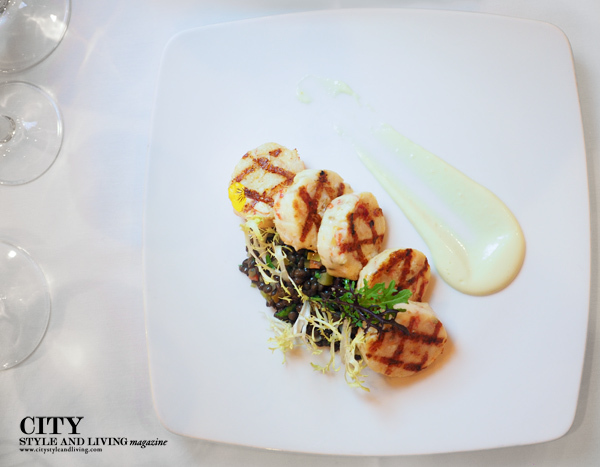 Italian Executive Chef Alberico Nunziata and his culinary team boast some of the freshest seafood, simply prepared. 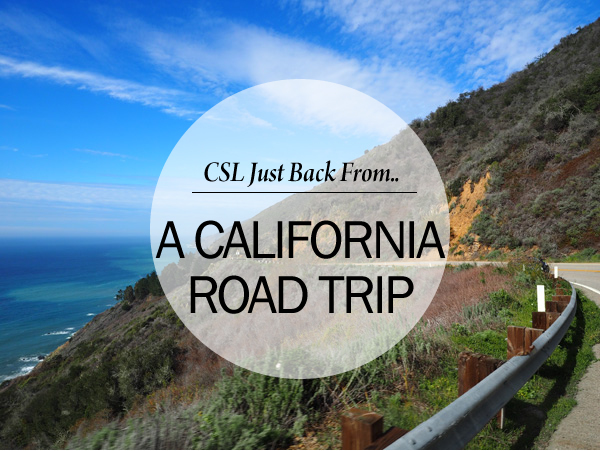 CSL just returned from an epic road trip through California's coast. From Napa and Sonoma to San Francisco, Half Moon Bay, Carmel, Big Sur, San Simeon, Santa Barbara and Los Angeles, the ever changing and awe inspiring landscape along with the friendly faces that we met along the way will make for everlasting memories. 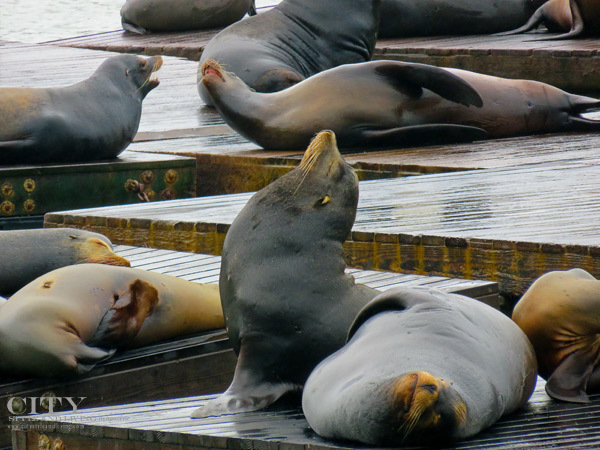 If you haven't yet driven this incredibly diverse coastline, we urge you to plan a trip. 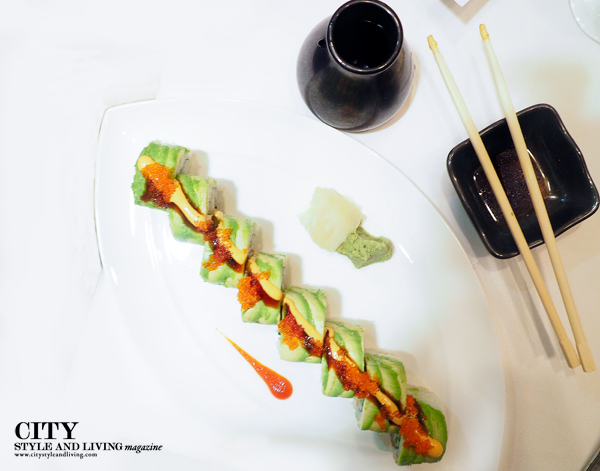 Look for the full editorial article on California in an upcoming issue of City Style and Living Magazine. 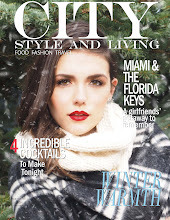 Read more Travel in theWinter 2015 issue of City Style and Living Magazine. 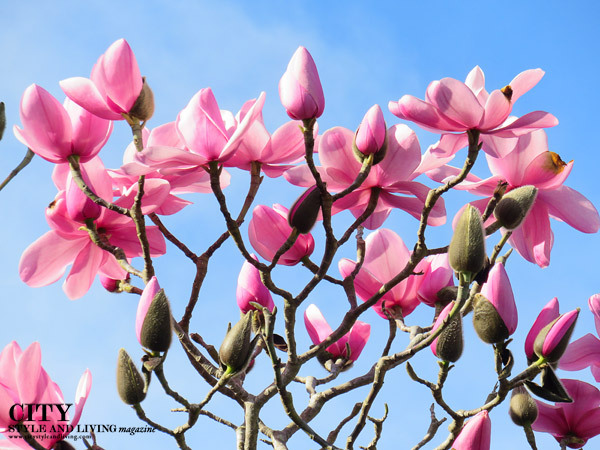 ***A friendly reminder, all photography on City Style and Living Magazine, Facebook Page, Twitter, website and Blog are copyright 2007-2016 K&S Media. Please do not use elsewhere without the written consent of City Style and Living Magazine. Thank you kindly!